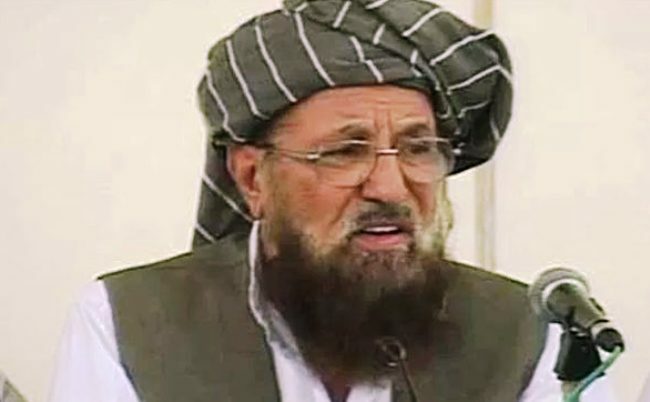 ISLAMABAD (ENN) Senior religious scholar and former Senator Maulana Samiul Haq has been assassinated at his residence in Rawalpindi. “He was trying to reach the protest in Islamabad but came back home due to roads being blocked. He was resting in his room during Asr time when his driver/guard went out for 15 minutes. 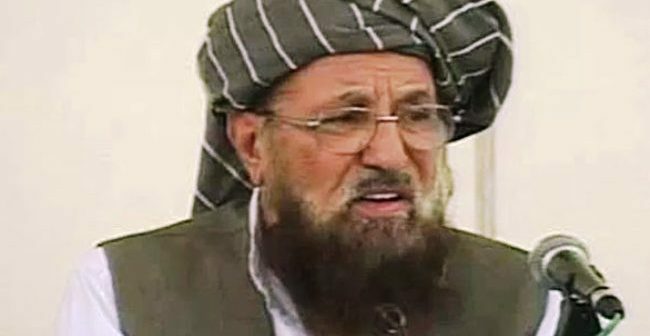 When he returned, he found Maulana Samiul Haq dead in his bed and his body covered in blood,” Haq’s son, Hamidul Haq, told media via telephone. Haq was one of the senior most religio-political figures in Pakistan who had twice been elected as a senator, He was member of the Senate of Pakistan from 1985 to 1991 and again from 1991 to 1997. He was head of the Darul Uloom Haqqania, one of the largest and most influential madrassas (seminaries) in Pakistan located in Akora Khattak, Khyber Pakhtunkhwa. The JUI-S chief headed a committee formed for peace talks with Tehreek-e-Taliban Pakistan (TTP) in 2014. The talks, despite repeated rounds, failed to yield results and the then Pakistan Muslim League-Nawaz (PML-N) led government subsequently launched a crackdown on militants following terrorist attacks on Karachi’s Jinnah International Airport and then the Army Public School in Peshawar later that year. His party has been an ally of the ruling Pakistan Tehreek-e-Insaf (PTI), The PTI also gave him ticket for the 2018 Senate election, but he could not be elected to the upper house. Jamiat Ulema Islam-Fazl (JUI-F) chief Maulana Fazlur Rahman said that he graduated from Darul Uloom Haqqania. “I have had a strong relationship with Maulana Samiul Haq, based on mutual respect,” Fazl said, voicing solidarity with the family of the slain cleric and his party.